John Adams told Thomas Jefferson that "history is to ascribe the American Revolution to Thomas Paine." Thomas Edison called him "the equal of Washington in making American liberty possible." He was a founder of both the United States and the French Revolution. He invented the phrase, "The United States of America." He rose from abject poverty in working-class England to the highest levels of the era's intellectual elite. 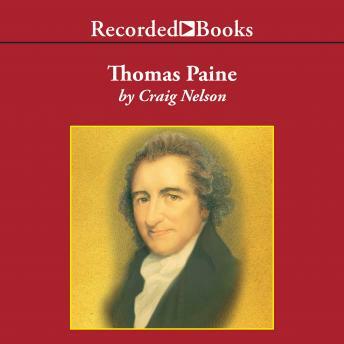 And yet, by the end of his life, Thomas Paine was almost universally reviled. He had run afoul of Washington, broke with Robespierre and narrowly escaped the guillotine, and was all but exiled from his native England.